Two Chicks On Books: Top 10 of 2014- Sign up for all the fun and a Giveaway! 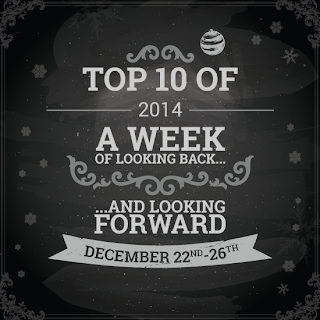 Top 10 of 2014- Sign up for all the fun and a Giveaway! WOW! Has the year flown by or what? 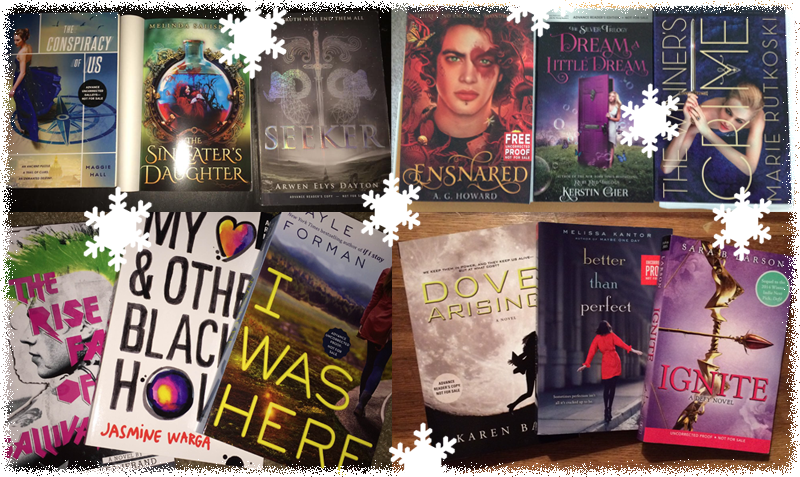 I can’t believe we’re ready for another fun filled week where we look back at some of the best of all things books of 2014 and what books we’re looking forward to in 2015. Last year was a blast co-hosting the event with some of my favorite fellow bloggers –Rachel from Fiktshun, and Mindy from Magical Urban Fantasy Reads! Rachel and Mindy are both back this year, Rachel will be hosting at her new blog Reading YA Rocks oooh and this year we have a new co-host! Nancy fromTales of a Ravenous Reader! We’re so excited to have her! And always a thanks goes out to our original co-hosts Lisa from A Life Bound By Books and Jessica from Confessions of a Bookaholic who will not be hosting the event with us due to their busy lives we hope they’ll be back in 2015! Oh and this year we've added a giveaway for some highly anticipated 2015 ARC's for everyone who signs up to participate! Each day of the event we hope you’ll visit one of the hosting blogs and share your list with the Linky that will be provided. Just be sure you follow which lists goes on which day. Speaking of... here’s what we’re doing for this year’s event! Now, I know what you’re all thinking. That this will be hard to keep to 10. Some of you might like to break the lists up a bit. Working with a Top 10 for YA books and then a Top 10 for New Adult or Adult titles. Feel free to add honorable mentions if you’re also having a hard time sticking to 10. However, with the honorable mentions, please try to keep it to a minimum or it kind of defeats the whole purpose of things. Giveaway is ONLY open to those who've signed up to participate. Prizes will be sent separately from each of the four hosts to the winner via Media Mail. I am excited! This is my first time joining. I think I came across this last year but it was already in the middle of the actual week of posting. So now I'm excited that I get to join for this year. :) Yay! This looks like an absolute blast!! I dont participate in top 10 Tuesdays so this is aperfect way for me to get my lists out there! Brilliant idea. Oh and the books geez talk about pulling out all the stops!! <3 you guys! I am really excited! This is my first time joining, but I do participate in the Top Ten Tuesday meme and really enjoy making the lists of favorites! I am really looking forward to this! Yay! I loved doing this last year! Really excited to do it again!! This is my first time participating and it sounds like a lot of fun! I am super excited! thanks so much for hosting! Always enjoy this event! Thanks! I am looking forward to it...though I don't know how I'll be able to choose just 10! 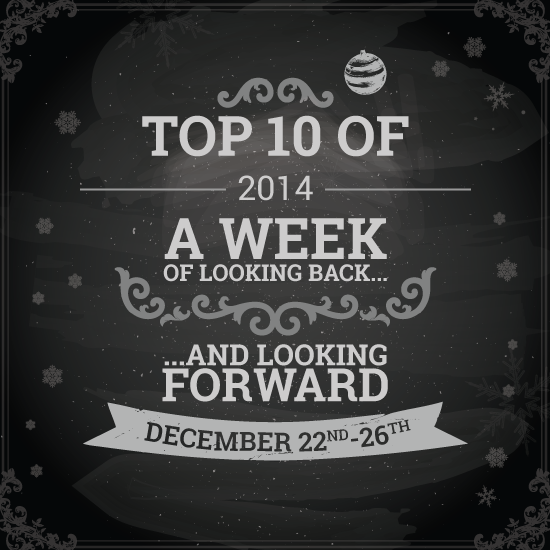 I'm so excited to participate and think back to all of the books I've read this year! There have been so many great reads that it's going to be hard to chose. This is my first time joining in this event! (Or any event like this really...) So, I am really excited to be participating :D sounds like so much fun! Thanks for hosting!! Yeah, I'm a *little* excited. I mean, it's not like I stayed up late to be the first person to sign up for the event or anything. ;) YES I'M EXCITED.